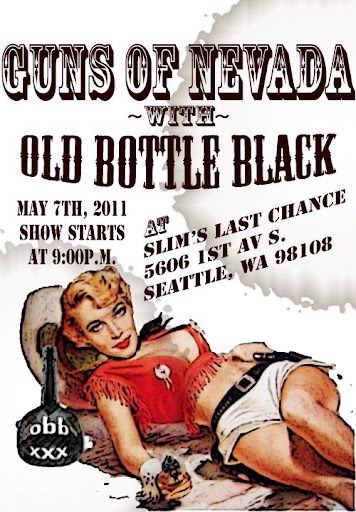 Yes, we’re playing at Seattle’s slice of Texas: Slim’s Last Chance with a killer band called Guns of Nevada. Check them out on MySpace. They’ve got a great southern rock sound. We’ve been looking forward to playing this bar for some time. They’ve got killer chili, beer, booze and a great staff. Best of all, they have a flat bed truck as the stage for the music in the back patio. Rock on!